Now that I think of it Sunday is better. If everyone else is up for it we could move it. We are talking this weekend eh? Well not this Sunday obviously cause its easter. I was thinking in the future. 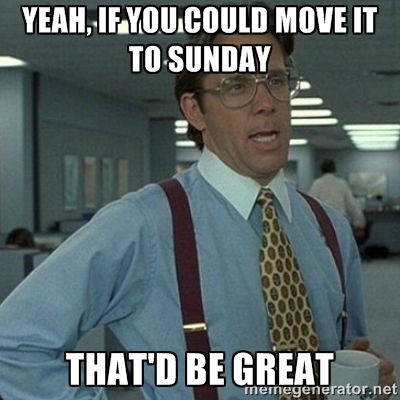 I suppose so, let's make it Saturday this week and from then on just do Sundays the same time. I don't know if I'll be there myself yet, but I think I can figure something out. I'll challenge Jolinar and Glupus in Edward Fortyhands. My chances of winning is probably pretty small. NOPE. Been there done that. Never again. If someone buys me the booze, I'm in.